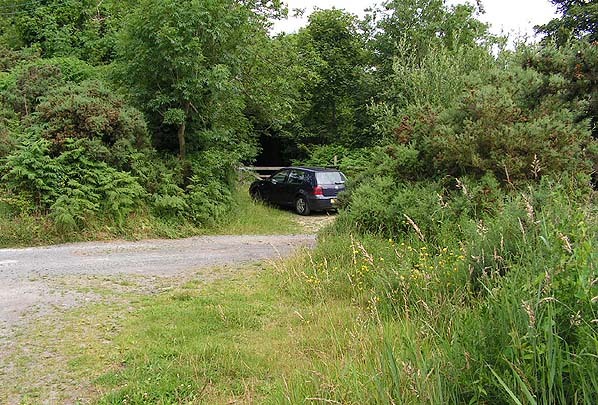 Location: On the south side of a minor road running west from the A3 at Lower Foxdale. On the 24.5.1905 the Manx Northern Railway was taken over by the Isle of Man Railway and the Foxdale Branch was added to their network. closed to passengers. It continued in use for goods up until 1960 but it was not lifted until the mid 1970's. 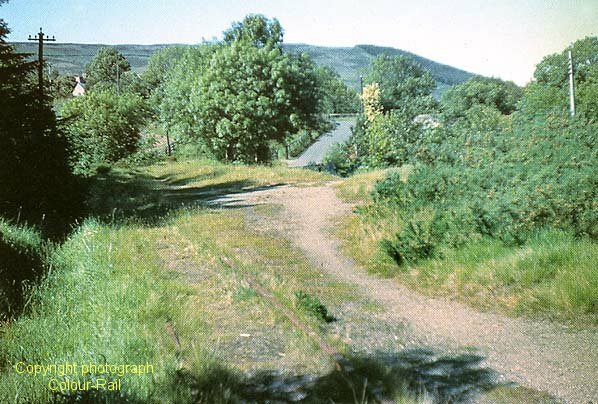 The site of Waterfall Station in May 1960 taken from the same viewpoint as the picture above. 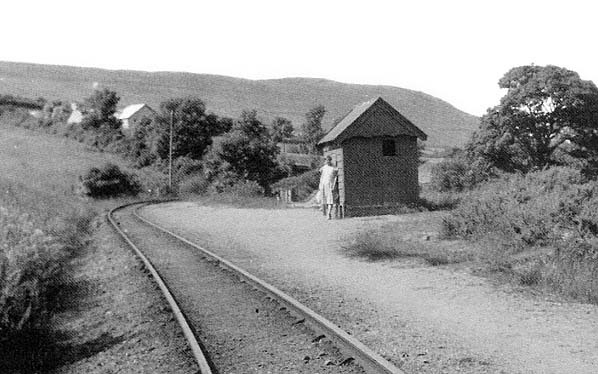 Although the building has gone the track is still in situ at this date.